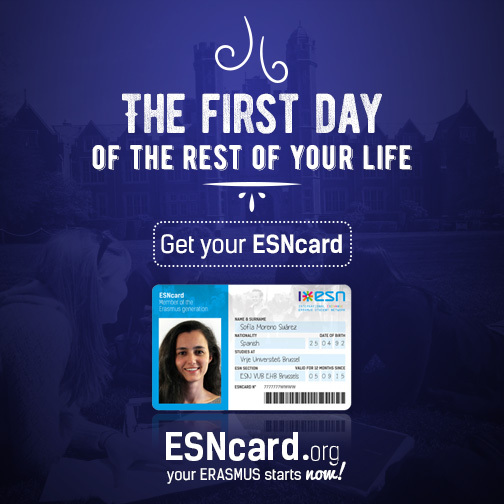 The ESNcard is the membership card of the Erasmus Student Network. It is a proof of membership in an ESN section and so indirectly of the ESN network. The ESNcard is also used as a discount card in many cities and countries around Europe. The aim of the ESNcard is to support and give opportunities to international students during and after their exchange period. Check official website for more information and all discounts. You can get your ESNcard in our ESN Office - dormitory building A, 8th floor. The ESNcard is used by over 120.000 people per year in 40 countries, and the numbers are growing every year. There are local and international offers you can get with your ESNcard. How can you get the ESNcard in Ostrava? In case you are arriving student you can get your own ESNcard during Orientation Days. Apart from that you can get the card in our dormitory office anytime during office hours.